Adrian Flux has launched a new rent guarantee insurance service protecting landlords from expensive legal bills if having a dispute with a tenant. This policy can be purchased on its own or as an addition to our Landlord Property Insurance Policies. The Policy covers legal expenses and offers optional cover you should the tenant not be paying their rent. Rent protection insurance is particularly useful if you have a mortgage on your property and are relying on your rental income to cover it. Legal Expenses Insurance on its own starts at just £19.99 and starting at just £65.00, Adrian Flux's rent protection service offers peace of mind to all landlords. We appreciate that even the best tenants can run into financial difficulties and by having rent guarantee insurance in place, you can protect yourself from being out of pocket if their circumstances change. Protection of up to £100,000. It covers you for Property Legal disputes, Attendance Expenses and Rent Recovery. No excess if a panel representative is used. Protection of up to £100,000 for costs and fees incurred in disputes or legal proceedings. Up to £50,000 advisors costs per claim for rent guarantee. Up to £2,500 per month for rent, no more than £25,000 or 12 months rent (whichever is greater). 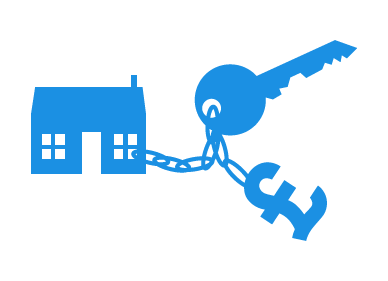 Why choose Adrian Flux for landlord protection insurance? Every landlord protection insurance quote will receive the attention of a specialist who'll be able to help you choose the right policy for your needs. Adrian Flux has long been established as the best specialist insurance broker in the UK and is dedicated to getting you the best deal available. Our staff is experienced in dealing with tenants from hell and can help you through the process with minimum fuss. Landlord Legal Stand Alone cover can be purchased with a discount if it's alongside Adrian Fluxs standard Landlord Property Insurance policy guaranteeing all round protection and peace of mind. As let homes area are a non-standard insurance risk, all our policies are designed specifically for the landlord's individual situation. Quicker & Cheaper rates by phone, please click the button below during office hours (9am to 7pm Monday to Friday & 9am to 4pm Saturday) and we will call you back right now, or at a time you specify, for an immediate landlord legal insurance quote.